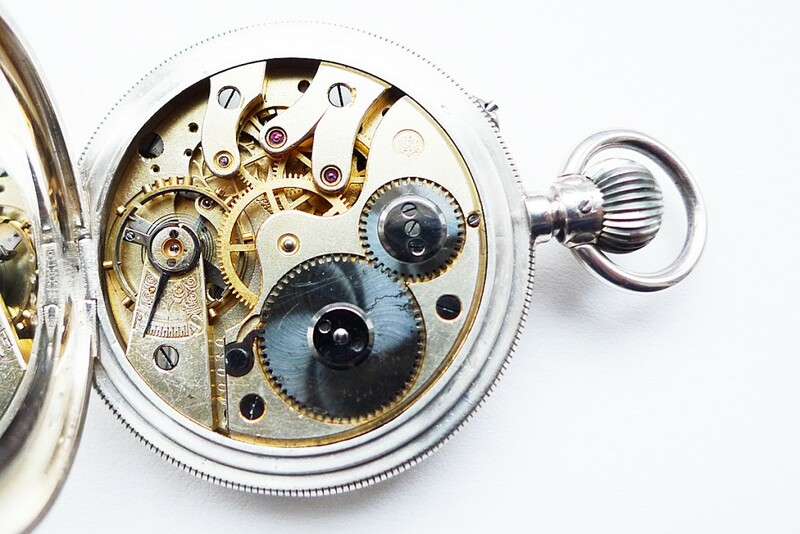 Among the most famous of vintage IWC pocket watches is the so-called Pallweber, which is considered part of the Elgin Calibre family. 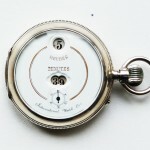 Pallweber watches were made by IWC from approximately 1885 to 1887. Reportedly 14,940 examples were made as the Calibre 42 (Pallweber III). A few other Pallweber movements were made by IWC, primarily as prototypes or as ladies’ watches. The model is named after its inventor, Josef Pallweber, an Austrian engineer who licensed his 1883 invention to IWC. 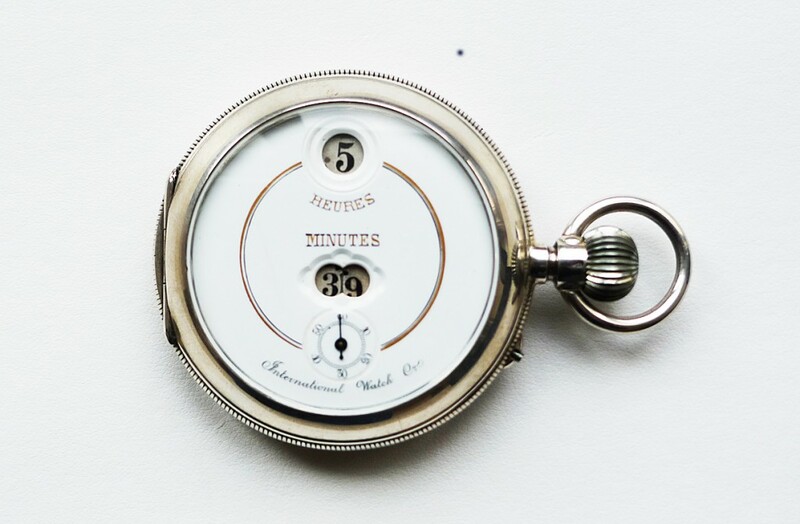 Subequently he licensed his invention to other Swiss watch companies, including Cortébert and Gédéon Thommen (GT). The movement has both digitial jump-hour and jump-minute indications. 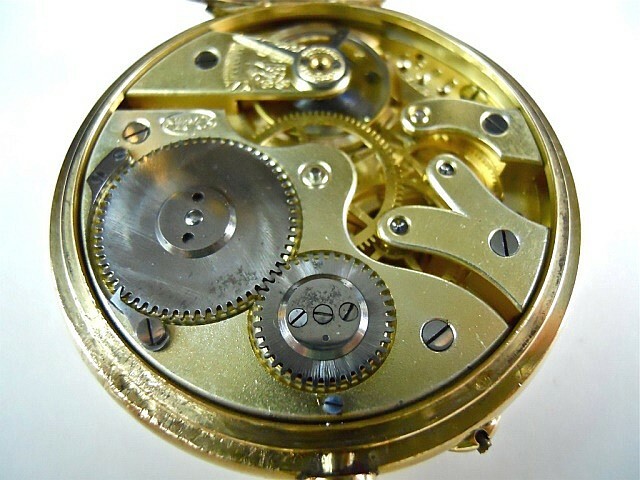 While most other IWC pocket watch movements are identified by their internal movements, the Pallweber movement also looks like IWC Calibres 38 and 39, and is usually identified by its dial side. 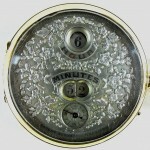 Pallweber watches were produced by IWC with “hours” and “minutes” written in several different languages. This example is an early Pallweber III (Elgin II), Calibre 42, which is rare with a 18k gold case. 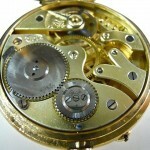 The movement number, 1630, is early in the second numbering (ca. 1884) but precedes exisiting archive records. However, the dust cover is engraved Hamilton & Co., Bombay, which presumably was an early retailer of IWC watches. 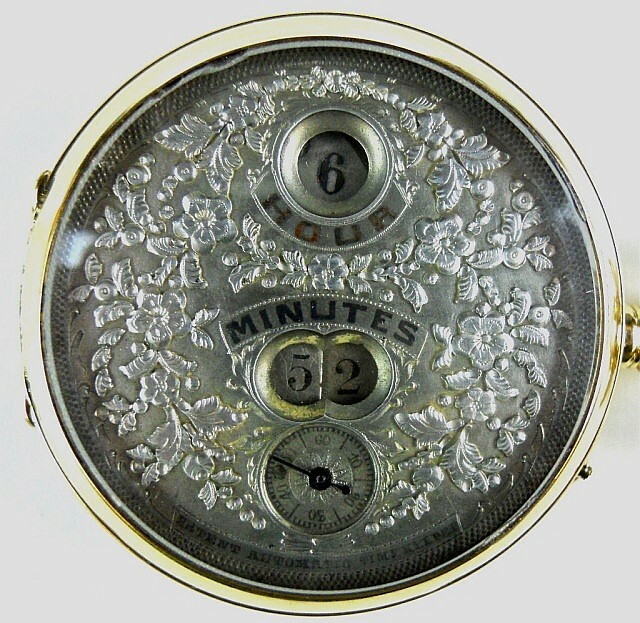 The dial is remarkable, being repoussé which is a form of metalwork hammered into relief from the reverse side. This example has a silver case. 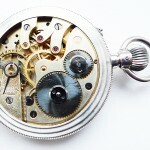 Particularly noteworthy is the fact that the good condition dial is signed “International Watch Co.”, since IWC’s name sometimes did not appear on dials of this model. Often, IWC Pallweber watches have dials signed “Patent Automatic Timekeeper” or “Pat. Feb. 24, 1885” or in different languages.